Klei's Don't Starve Together, the cooperative standalone version of its popular survival game Don't Starve, will see full release this month. The support for the title, however, won't end there. First teased almost two years ago, Don't Starve Together will finally leave its Early Access status on April 21 for the PC only (the PlayStation 4 version is still a work-in-progress). You can buy the game and get a bonus second copy to give to a friend for just $14.99 right now on Steam. Like it's solo only progenitor, the Don't Starve Together strands you (and your friends) on an unknown island. You must cut down trees to build fires and shelters, harvest food, and avoid being killed by some rather nasty creatures. 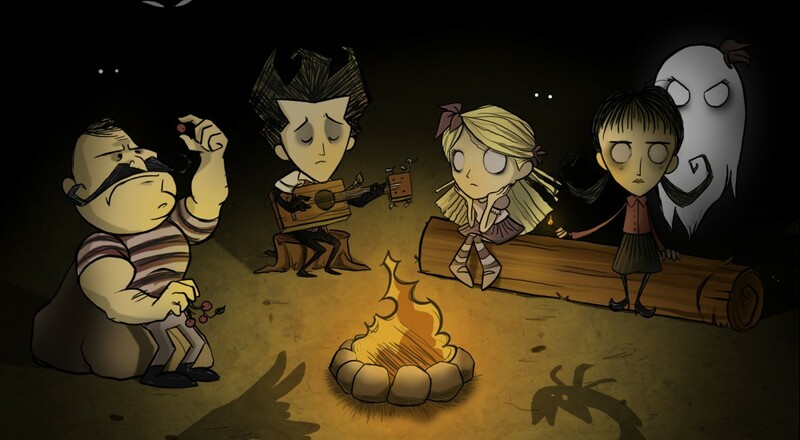 I've yet to play this particular version of the game, but really enjoyed Don't Starve and have always found survival titles such as this more manageable/fun with friends. In addition to the announcement of the PC release, Klei also revealed that a new, free expansion was in the works. Dubbed "Through the Ages," this add-on will "focus [on the] evolution of your world over a longer period of time." Maybe that means that animals will change as more time progresses and/or you'll start off a cave man and wind up as George Jetson. Don't Starve Together will support up to four players online when it launches on April 21. Page created in 1.3596 seconds.